If you need a reason to look into wedding dress preservation, these ugly-cry inducing photos of women in their mother’s wedding gowns will pretty much do the trick. Still, in addition to these touching photos, there are lots of reasons why you want to make sure your wedding dress lasts for years after your alter moment. For one, wedding vow renewals are on the rise. Many older brides are determined to fit back into their wedding dresses as well and celebrate the fact that their marriage has been a source of joy and love for so many years. Also, the average wedding dress in the United States costs over $1,250 – so it makes sense that, when you’re spending that on a dress, you want it to last for years to come! In this post, we’re going to tell you everything you need to know about wedding dress preservation. Read on to learn how to keep your dress as beautiful as it was when you first wore it. You don’t have to drive your dress straight from your reception to the cleaners. In general, the sooner you can get your dressed cleaned after your wedding, the better. Remember that the longer stains sit on fabric, the tougher they’ll be to get out. If you wait too long, you’ll have to pay a restoration fee, which is usually incredibly expensive. 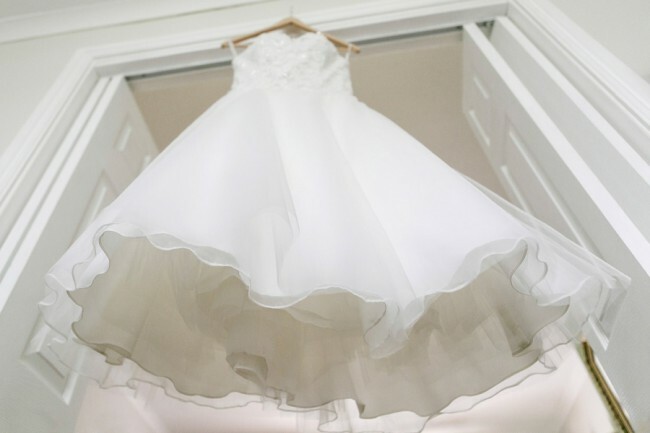 While your dry cleaner might be your go-to guy when you get a stain on your favorite blouse, you need to be sure you’re working with a wedding dress expert when you get your gown cleaned. We recommend working with a preservationist, who specializes in wedding gowns, as opposed to a dry cleaner. 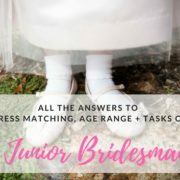 If possible, see if your maid of honor would be willing to ship your dress to a wedding dress preservation company, or drop it off in person if it’s nearby. 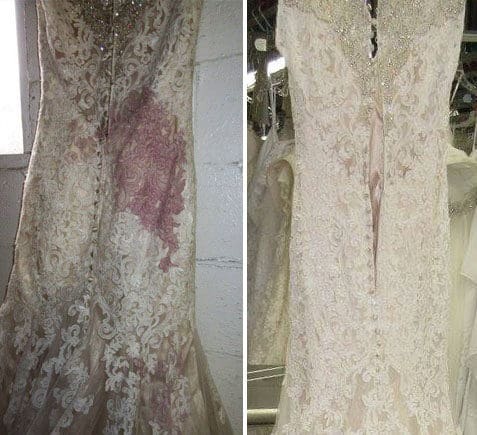 It’s best to start looking into wedding dress preservation options before your wedding. That way, you can be sure you’re working with a company you can trust, and that you know you’ve gotten the best price! When you’re looking into potential wedding dress preservation companies, you need to know what questions to ask. Know the cleaning methods they use, especially if you’re an eco-friendly bride! Will you be held responsible if your gown is lost? Will you be reimbursed if your gown is damaged? What is their shipping insurance plan? It also means they likely won’t do a thorough job! If you want the easiest (and also one of the best) options in wedding dress preservation, you could look into a kit! 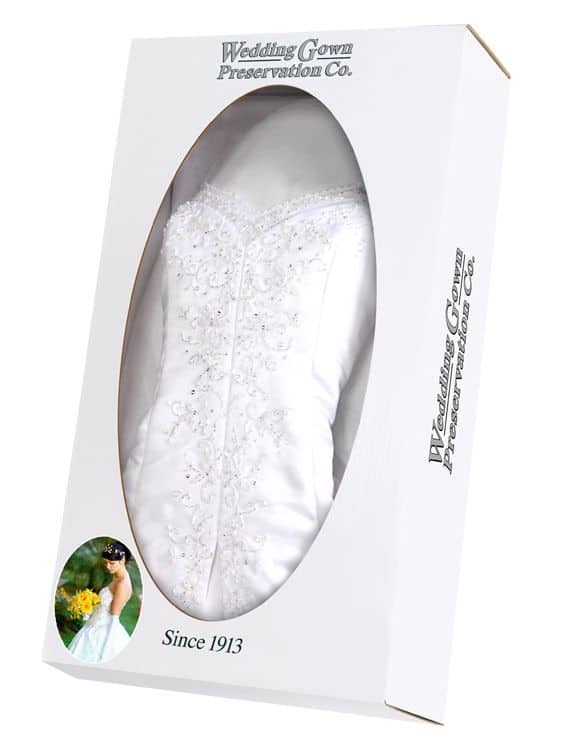 This Wedding Gown Preservation , Prepaid Dress Cleaning and Preserving Kit sends you a package with a shipping box. You simply mail out your dress (don’t worry, the box has serious padding and shipping insurance) to be preserved. If you’re nervous about shipping your dress, many companies also include tracking options, and they’ll alert you when it arrives at their facility. And a 100 YEAR GUARANTEE that your dress will stay beautifully preserved. If not, your gown will be reprocessed at no charge. Your preservation cost will be refunded if they are unable to remove yellowing. You can even track the progress of what’s being done to your gown! Once it arrives, your gown will be cleaned, with an extra step to make sure your wedding dress won’t get discolored, even if it’s stored for many years. No matter the length, style, and beadwork on your dress, it can be cleaned with ease and packaged to make sure no moths or other insects can get inside. The cleaners are professionals and are trained to work with a variety of materials – even vintage gowns. If you got a little red wine on your wedding gown, these are the people that can help you to get it out. They can even find stains that other dry cleaners wouldn’t be able to! One major stain culprit that often goes overlooked? Sugar from your wedding cake and other sweet treats! 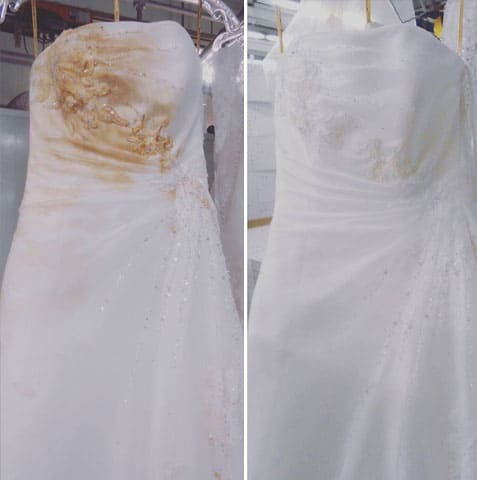 With time, the sugar can turn brown, leading to permanent and unsightly stains on your wedding gown. A wedding dress preservation expert can make sure that doesn’t happen. They also know the proper materials in which to store your wedding dress. Plastic works well for a few days, but over time, it can lead to discoloration. 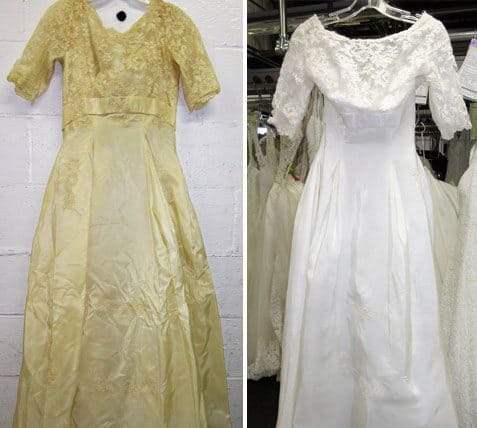 Instead, most wedding dress preservation companies will use a special kind of tissue paper that won’t stain your dress – even after many years in a box. Once the cleaning and boxing process is complete, your gown will be shipped back to you, good as new! Usually, the whole process takes between 6-8 weeks, depending on the level of stains and where you live. Many wedding dress preservation kits also allow you to send 3 other accessories, which will also be cleaned and preserved. Congrats, You’re A Wedding Dress Preservation Expert! Now, you know the wedding dress preservation steps you need to take to be sure your wedding dress lasts for years to come. Looking for more wedding dress style advice, inspiration, or unique styles you’d love to try out for yourself? We’ve got you covered – and our knowledge doesn’t stop there. We’re constantly posting everything you need to know to get you through the stress of wedding planning. 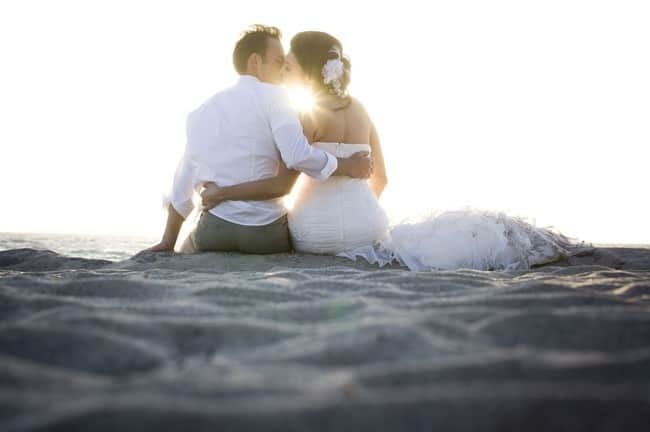 We cover wedding jewelry, stationery, and even honeymoon destinations, among other topics. Our tips will take the anxiety out, and put the fun back in, getting ready for your special day.